History Detectives traces one freed man's dream to return to Africa. By the early 19th century, the United States was home to increasing numbers of free blacks. In some places, much of the white establishment considered their status with growing alarm. In the south, where the slave system was most entrenched, free blacks were considered a threat to the status quo. Hostility and even violence against free blacks were common. This tension gave birth to the Back to Africa movement. Over the next century, some 16,000 black Americans sailed to West Africa to establish the Republic of Liberia. It was one of the largest organized out-migrations in US history. 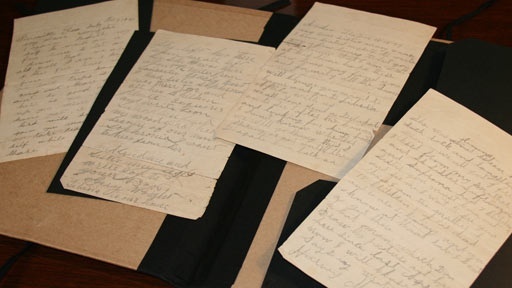 Vernetia Jenkins of Lynchburg, South Carolina has long been mystified by some old family letters, and their connection to Africa. One letter in particular, from 1877, has caught Vernetia's attention; it is from her grandmother's brother, Harvey McLeod, and it suggests that he was heading to Liberia, but did Harvey make it to Liberia? Related Investigation Cannon House Could this family home once have been the headquarters of the kidnapper and slave trader Patty Cannon? Also with Tukufu Zuberi Our Colored Heroes Is this a WWI recruitment poster... or something else? Also in Season 7 Black Tom Shell Is this shell from a devastating act of foreign sabotage on American soil? Also with Tukufu Zuberi Harley Davidson Motorcycle Did this motorcycle see action in World War I? Also with Tukufu Zuberi Civil War Sabotage? The steamship Sultana exploded one night in 1865, killing more than 1,800 people. Was the disaster a result of Civil War sabotage?